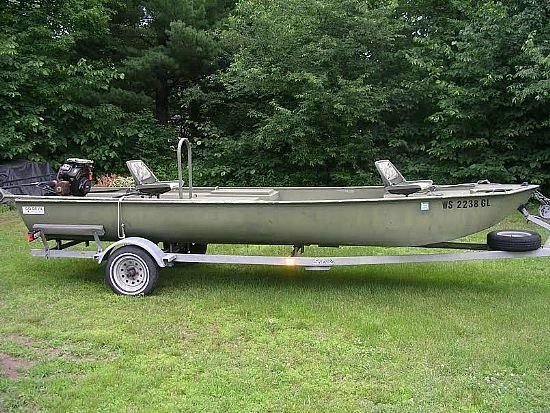 I have a 2000 model 860 All aluminum weld 18' War Eagle duck boat. With 1999 Mercury 115hp 2 stroke motor. Just serviced, new batteries and Propeller Prop. Lake ready for season. Pop up avery blind. It does come with some fishing outriggers as well. Indoor storage kept when not in use. Title in hand free and clear of any leans. 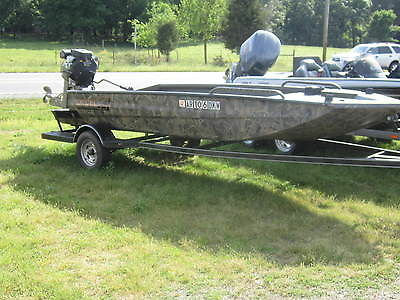 Length 18'Width 60"Beam 82"Side Depth 26"Transom Height 21"
2008 War Eagle 548 LDV 2008 War Eagle 548LDV Duck boat. This is one cool little setup. Powered with a 20HP Mercury 4-Stroke. Motor and trailer recently serviced. 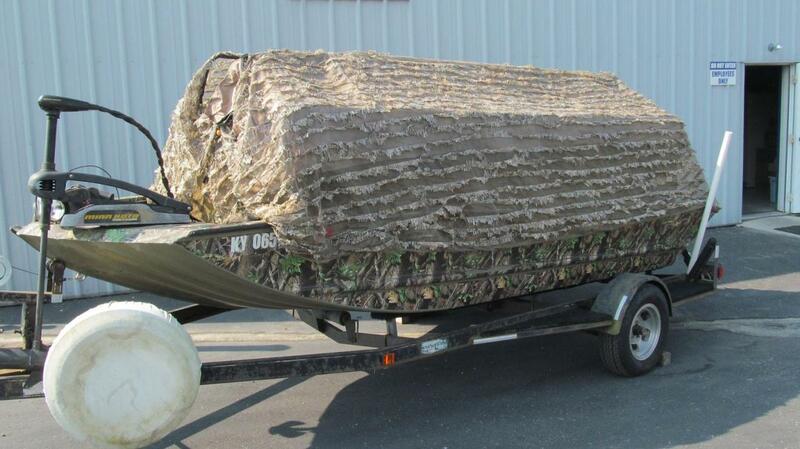 Comes with an Avery Pop-up blind, Garmin Fish finder, fuel tank, seats, neoprene flooring. Get yourself out in the fly zone. Stop in to take a look or give us a call. 2007 Triton 1546 DS 2007 Triton 1546DS with Yamaha 25hp and Ez Loader trailer. Great Shape! Come take alook or call Eric for more info. The answer to every waterfowl hunter's prayer! These tiller-steer Tritons are built like tanks and, like your trusty lab, will reward you with a lifetime of faithful service. They come with standard olive drab paint, or specifiy optional Mossy Oak camo paint for maximum concealment. 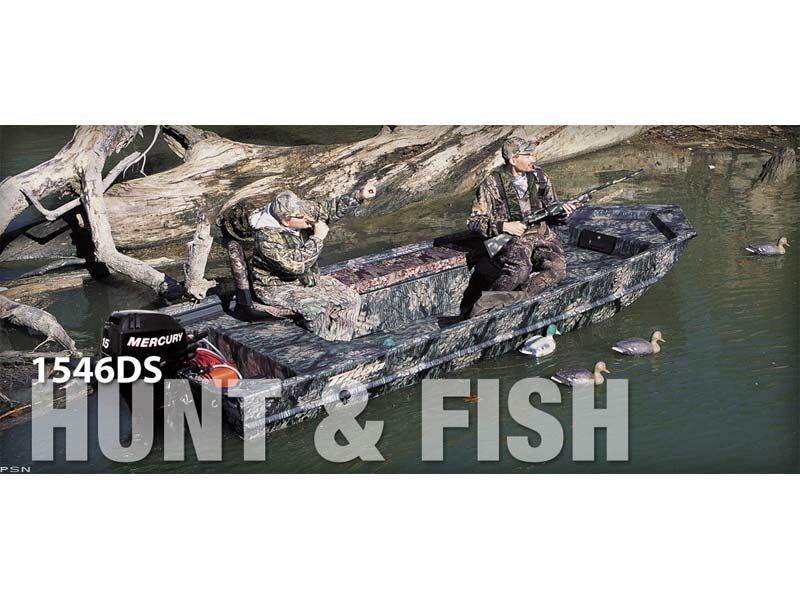 There's a roomy gun box, elevated front deck, bow storage compartment and Lock-Track extruded gunwales that accept a wide array of ingeniously-designed optional equipment, including a dog boarding ladder, tree clamp, Avery duck blind brackets, even a shotgun shell holder. 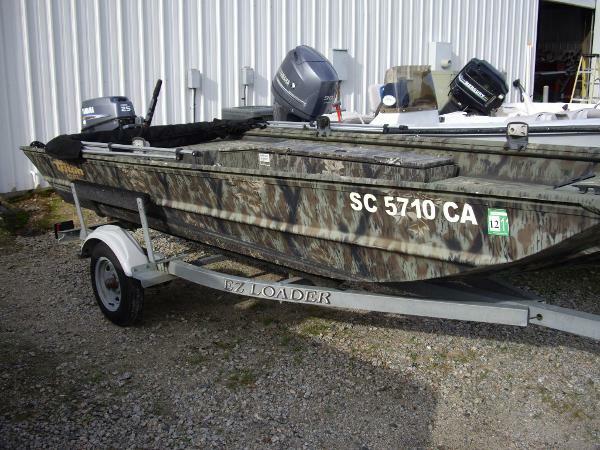 For more details visit: http://www.BoatsFSBO.com/97504 Please call boat owner Tom at 715-559-4400.This is the perfect boat for duck hunters who like to fish. The boat is a 1996 Go Devil 18' x 44" with a 16 hp. long shaft Briggs and Stratton Vanguard mud motor engine. Includes the Avery quickset blind. Everything works fine, motor runs great, even the trailer lights work. 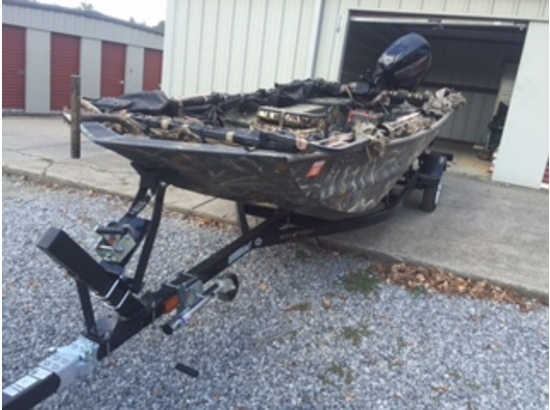 The following is a description of the boat and motor and the cost to buy this boat today from Go Devil in Baton Rogue, LA. 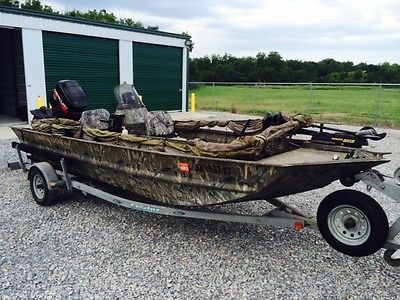 This boat includes everything on this list.16 HP engine-$2895.Gas Tank $65. Rock Guard $40.Tach Hour meter $55. Boat 18' x 44"$4595. Walk through split seats $400.2 Seats with poles $230.Grab Handle Bar$150.Operator seat base $85.Push Pole $85.Battery Box$80.Fish deck$235.Trolling motor bracket$60.Avery Quick Set blind$875.Trailer with spare$1695. Total$11,545.I cannot answer the phone during work but I can text or please call after 5, thanks. 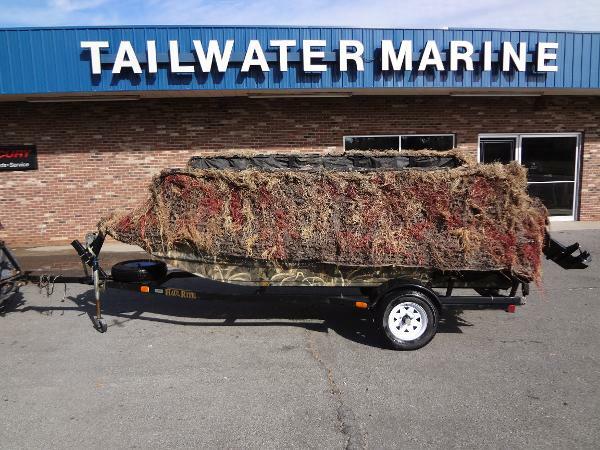 2006 Tracker Grizzly 2072 CC Upgrades Include; additional 12 gal fuel tank; Bow Mount Trolling Motor w/2 Deep Cycle Batteries; Dual Battery System for House/Starting on Battery Switch; Avery Duck Blind; Factory Trailer w/Spare Tire; Motor Upgraded to Mercury 90ELPT OptiMax. Locally Used at our Marina.